There’s no mistaking what pays the bills at Rovio. The company’s offices, in the Helsinki suburb of Espoo, are filled with Angry Birds memorabilia. There are stuffed birds and pigs everywhere, and each of the company’s conference rooms is named for one of its hallmark characters. Hed’s office has stuffed birds and pigs, along with several Dilbert figurines and other toys. The only anachronism is a business book, which Hed says was sent to him and he has yet to crack open. These days, he’s more interested in seeing what his two young children think of the latest game or Angry Birds toy than he is in hearing an academic toss around business theory. That focus on fun and simplicity pervades Rovio’s main offices, which look as much like a playroom as a business center. Stuffed Angry Birds are practically as common as monitors or staplers. The company’s offices, overlooking the Baltic Sea, are just a slingshot away from Finland’s best-known tech company, Nokia. Rovio began life in Helsinki as a small, struggling game maker. 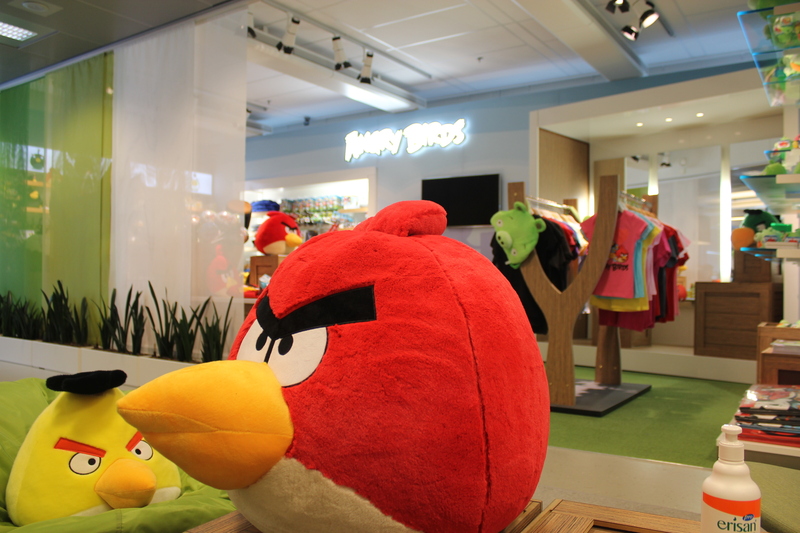 It moved to nearby Espoo in August 2010 after its Angry Birds game started to take off. The company initially occupied an office designed for 50, and expanded to the building next door once its ranks swelled to 70. It now occupies four floors there, along with the original spot. Its main business is on the sixth floor, with sales, marketing, and finance staff, along with a concept retail store featuring a slingshot chair and all manner of Angry Birds gear. A theater is home to regular employee movie days, while other employee groups meet to play board games or barbecue outside (yes, even in the snow). The company’s game designers and animators work on other floors, hidden away from outside visitors. The second floor, with the animation team, has a more relaxed, artistic style, with unfinished wooden furniture and vintage pieces. It also has a “no outdoor shoes” policy, so people leave their shoes at the door, putting on slippers or other indoor shoes. The third and fourth floors, home to the game teams, are more similar in style to the business floor, but without nearly as many plush toys. Brand head Ville Heijari works near the 10-person marketing team, but he admits he occasionally goes downstairs to the other floors to get help on an Angry Birds level he is stuck on. One has to wonder, though: Don’t they ever get tired of birds and pigs? Of course, with essentially just one product — however big it has become — the more critical question is whether the broader public will keep feeling the same.